The largest river is the world is the Nile river in Africa which is over 4000 miles long. The longest river in the United States of America of the Missouri River measuring 2500+ miles long. Over 1 billion people in the world don't have access to clean water. Here you will find a list of content we've gathered directly pertaining to river riddles. There are very common riddles that involve rivers people are often searching for that we've included in this collection. Rivers are natural flowing water (often times freshwater) sources in nature, our riddles can also sometimes be referring to streams, creeks, or anything in relation to a natural flowing water source. Here's a cool fun fact: 2% of the worlds rivers are frozen in Antarctica. Keep some of these things in mind when solving, they'll help! Challenge yourself and others even more while solving these river riddles by using the timer in the top right, also don't forget to share! Have fun solving! Two boys and a man need to cross a river. They can only use the canoe. It will hold only the man OR the two boys' weight. How can they all get across safely? The two boys go across. One of them get out. The other one goes back. He gets out and the man gets in. He goes across. Then the man gets out and the other boy gets in and goes across. Then the boy that was left gets in and now they both go across together. What has four eyes and runs south? 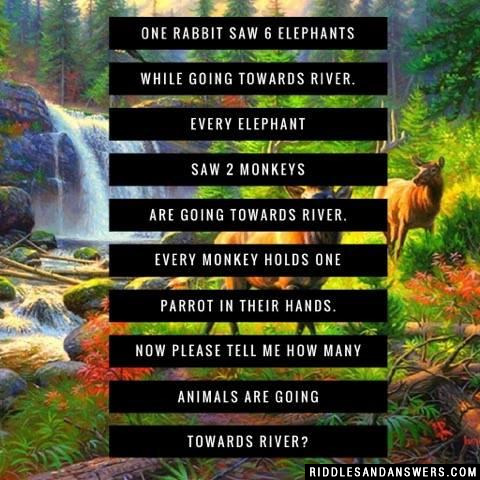 Now please tell me how many animals are going towards river? A river that flows from Colorado to the Gulf. I have a Mexican name. At 1,800 miles long I am one of the principal rivers of North America. I am not the Mississippi. Why didn't Cleopatra go to the psychiatrist? A farmer was going to town with a fox, a goose and a sack of corn. When he came to a stream, he had to cross in a tiny boat, and could only take across one thing at a time. However, if he left the fox alone with the goose, the fox would eat the goose, and if he left the goose alone with the corn, the goose would eat the corn. How does he get them all safely over the stream? He takes the goose across first, then comes back. Then he takes the fox across and brings the goose back. Then he takes the corn over. Finally he comes back alone and takes the goose across. A river should be crossed by a father, a mother and their two sons and two daughters. 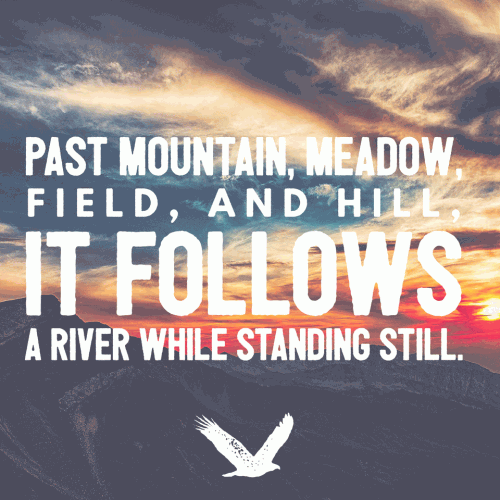 There are some rules that should be followed while crossing the river. There can be only two people in the raft while crossing. The daughters cannot be with their father unless there is the presence of the mother. The sons cannot be with their mothers unless the father is present. Unless the guard is on the board, the criminals cannot be with any of the family members. Only the adults like the father, the guard, and the mother knows to use the raft. How will they cross the river? The guard and the girl cross the river. The guard and the prisoner comes back. The mother and the girl cross the river. The guard and the prisoner cross the river. A zebra was going to the river. On the way the zebra encountered five giraffes. Each giraffe had five monkeys on their neck. 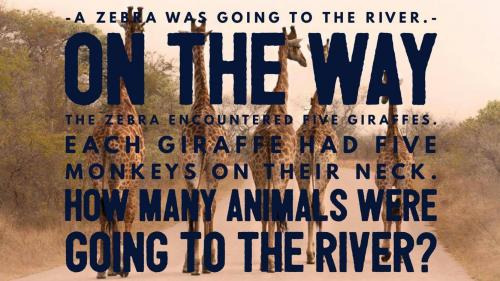 How many animals were going to the river? Just one the zebra. The other 30 animals (5 giraffes and 25 monkeys) were going the other way. Can you come up with a cool, funny or clever River Riddle of your own? Post it below (without the answer) to see if you can stump our users.